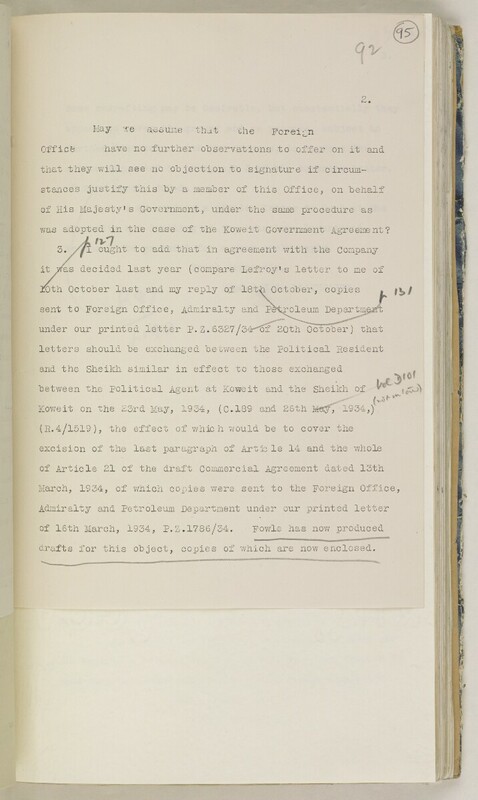 was adopted in the case of the Koweit Government Agreement? and the Sheikh similar in effect to those exchanged . drafts for this object, coj^ies of which are now enclosed.